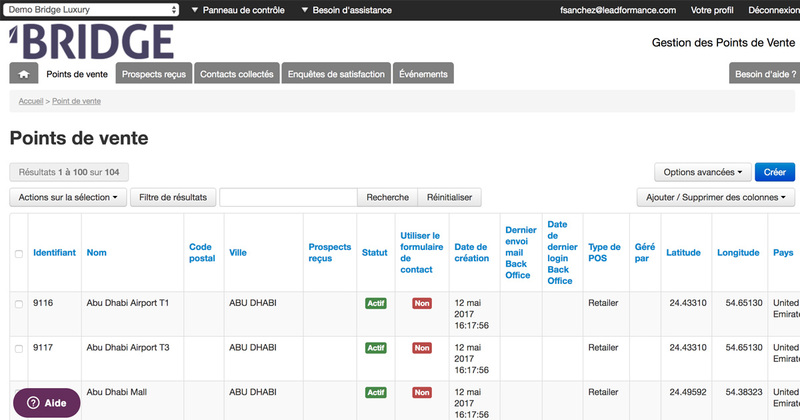 When the API option is activated for your account, a new screen allows you to manage your different keys as a Customer Manager. 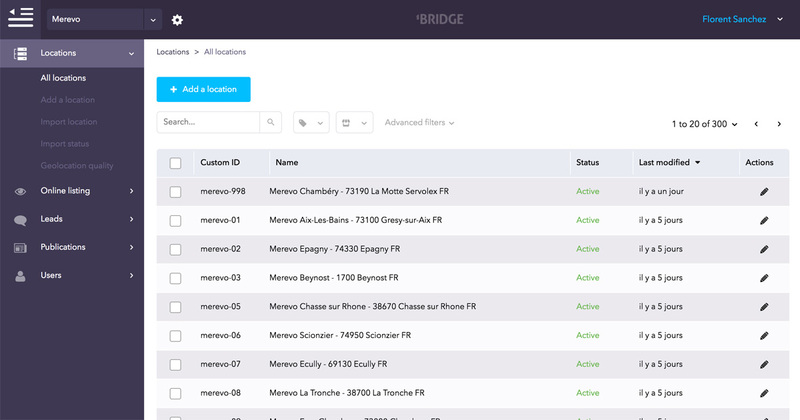 This can be accessed via the Back Office > Control panel > Company settings > API Keys, or by clicking on this link: https://bridge.leadformance.com/oauth_clients. When you create a new API key, you are asked to enter a description specifying what this key is intended for and to name a technical contact. This will enable our support team to contact you if we detect anomalies in your key. You must also understand the possible implications of using this key, particularly in terms of data integrity should unauthorised third parties gain access to it. See the "Important information" paragraph below. Simply confirm in order to obtain the key generated. Other settings (URI, security, methods, etc.) are covered in the API's documentation, which you can access from this key creation page, or via our support team. It is recommended that you create as many keys as there are different applications, primarily to ensure that only the necessary rights are granted for necessary rights each application. This also allows you to maintain flexibility in managing your applications: for example, if you delegate the creation of a mobile application to an external partner, you can monitor this partner's use of the API, grant them only the rights that are strictly necessary (no need for write access in this case, which minimises errors) and potentially deactivate only their API key without affecting other applications. The keys you generate enable you to access all the point of sale information managed in Bridge and, depending on the rights attached to the key, to modify and/or delete it. You are entirely responsible for the actions performed on production data. BRIDGE and Leadformance offer no way of cancelling modifications or undoing actions performed via the BRIDGE API. Changes are immediate and visible everywhere, notably in the Store Locator, and can also be made from the BRIDGE Back Office. Need more information? Watch our video.